"We all have the capacity to be a superhero. In order to become one you have to find your unique power or ability and exploit it for the greater good. The cape and mask are optional accessories, but a kind heart is essential." There's a new gang in town, my friends. Trust me, you'll want to get familiar with them. 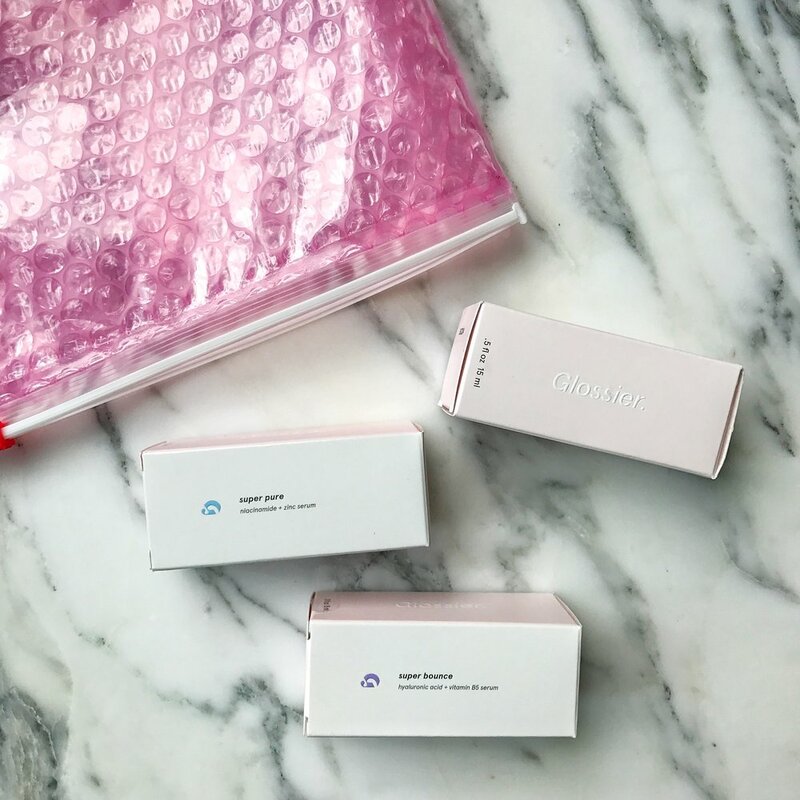 Glossier has done it again (and I hope they never stop). What has been bestowed upon us is a trio of super potent serums. In Glossier's words, they're designed to "refill skin's deficiencies and strengthen it over time". Background: If you're not familiar with Glossier, I want to fill you in on why now may be the time to start, what I am confident will be, a budding and prosperous relationship. In short, they're basically your beauty BFF. They genuinely care about you, push to make products that celebrate the real you, and are going against the grain to change the way products are made and who they're made for - real girls (and guys) in real life. If you can't tell, I'm a fan. I love their brand mission, their easy-to-use and affordable products, and their amazing social media presence. A few months back I did a review on their Coconut Balm Dotcom. You can check it out here. Anyhow, I'm on their mailing list (which I would totally suggest you sign up for), it allows me to get early updates on product launches and other fun perks. I received an email not too long ago announcing the impending launch of "The Supers". The name alone had me curious, but in general, almost everything they've made has become a cult favorite, so I knew that I needed to jump on board. 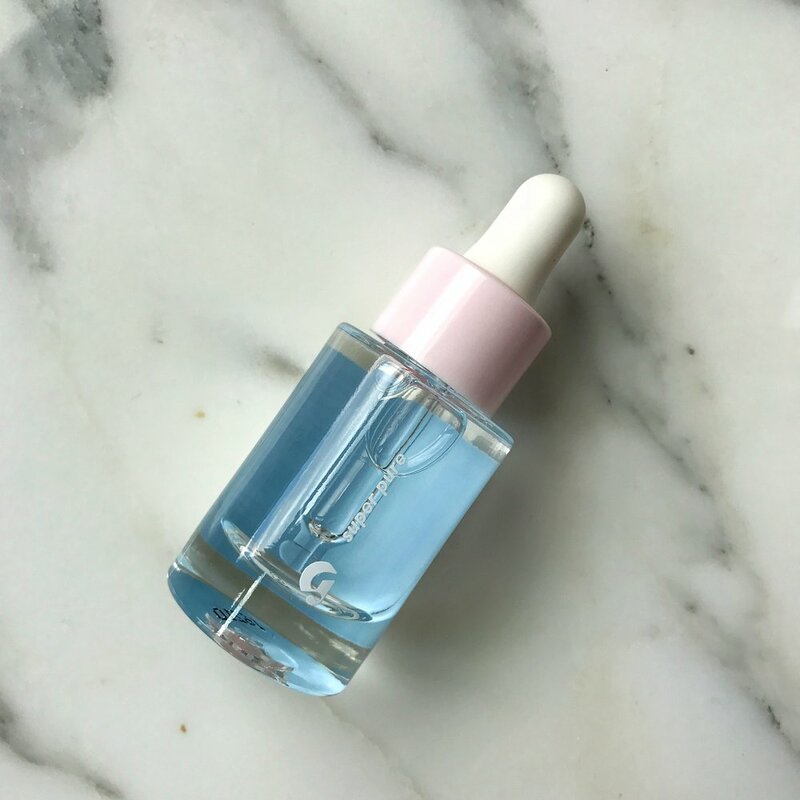 I had also read an early review on the Super Glow serum from my friends over at The Beat Beauty. This got me really excited because Qian and Or tell it like it is, and apparently this was going to be a game changer. To be completely honest, I don't need anymore skincare products. My regimen is pretty dense. As soon as I get home from work I'm generally in a mask, followed by a number of additional steps. Skin is IN (and I have no self-control because I'm committed to looking as flawless as humanly possible). Nonetheless, with the changing weather it's important to reevaluate your skin and listen to what it's telling you. That may be the best advice I can ever give you in regard to skin care, other than drinking copious amounts of water. Listen to your skin, it will tell you very loud and very clear that things are going well or not so much, on the inside and out. Pinky promise. I've spent the last week giving these babies a go and they are superheroes indeed. You guys...they're so good. I didn't want it to be real. I really really hoped that I would be able escape, but they got me. Ha! who am I kidding? I didn't put up a fight. My skin has been feeling slightly dry in some areas which I'll blame on the changing and sporadic weather so naturally I gravitated to Super Bounce and Super Glow. I apply the combination of the two at night to clean skin, right before I moisturize. I use Super Bounce alone in the morning before I moisturize and apply any makeup. Super Glow is a bit thicker both in physical consistency and overall application feeling. It's definitely still doable in the morning if that's what you choose, but I've seen the most amazing results overnight. If you want a natural glow-from-within look, this is it. I don't breakout too often so I wasn't going to touch Super Pure right away, but I must have jinxed myself because I got a random little pimple on my temple. I decided to give Super Pure a try and spot-treated the area. I woke up in the morning and it was gone. WHAT?! I'm excited just typing this. These serums are phenomenal. All of the formulas are lightweight (Super Pure actually feels like water) and fragrance free. How does Glossier do it every. single. time? My skin feels soft and bright and is free of any blemishes. In just a week I'm seeing better results day after day, so I can only imagine how things will be over the next month or so. Overall, I'm going to have to rate The Supers 5/5 hearts. They are so affordable, easy to use, show almost immediate results, and are packaged beautifully. They will look amazing on you and in your medicine cabinet. Check it out. Your skin will thank you. Oh, also, if it's your first time ordering you can get 20% off by clicking here. Save your skin and some money! If you do try The Supers let me know in the comments, so excited to hear your thoughts and to see if they're blessing your skin like they've been doing mine.